The New Hampshire Deputy Secretary of State formally approved New Hampshire State Representative Mark Warden's acceptance of bitcoins for political contributions. The New Hampshire Securities Bureau stated that they do not intend to regulate Bitcoin for the time being, as "it is not money and therefore it does not meet the investment contract analysis." A judge in Texas denied Trendon Shavers' defense that the Securities and Exchange Commission has no authority to investigate his Ponzi scheme because "Bitcoin is not money", claiming that Bitcoin certainly is money. The federal Financial Crimes Enforcement Network (FinCEN) has issued a guidance report in March 2013 explaining the regulatory status of Bitcoin exchanges. This guidance established that ordinary Bitcoin businesses are not affected by money transmission law, but exchanges are, and so require federal and state money transmitter licenses along with the requisite $7 million in surety bonds (costing about $100,000 per year). FinCEN officials have proceeded to make multiple comments on Bitcoin since then. California's Department of Financial Institutions sent a cease and desist letter to the Bitcoin Foundation, telling it to "cease and desist from the business of conducting money transmission in this state" but explaining little else. The Bitcoin Foundation has since replied. 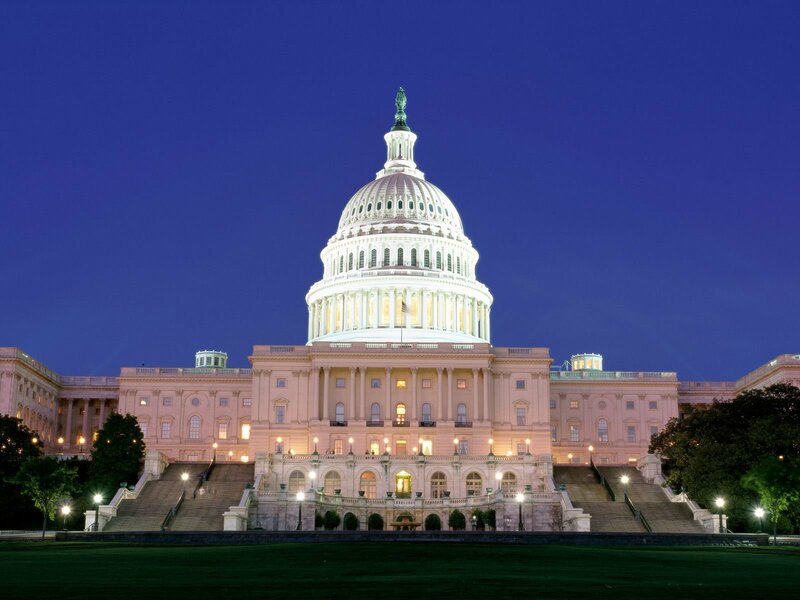 The House of Representatives released an appropriations bill detailing the budgets of various government agencies. The bill included a "rider" (a general term) for a provision hidden inside a bill with little relation to the content of the rest of the bill) asking the FBI "to provide a briefing no later 120 days after the enactment of this Act on the nature and scale of the risk posed by such ersatz currency, both in financing illegal enterprises and in undermining financial institutions." A Senate committee instructed the Department of Homeland Security to provide "any policies, procedures, guidance or advisories related to the treatment or regulation of virtual currencies", citing concerns that "[Bitcoin's] near-anonymous and decentralized nature has also attracted criminals who value few things more than being allowed to operate in the shadows". Bitcoin exchange MtGox saw its US bank account frozen by the Department of Homeland Security, which argued that, when processing deposits and withdrawals, MtGox was moving USD between Dwolla accounts and its own MtGox accounts, and this constituted unlicensed money transmission. Note that, contrary to popular opinion, Bitcoin was not strictly involved here. The Government Accountability Office published a report describing under what circumstances virtual currency transactions are taxable, and recommends the IRS to help educate taxpayers about virtual currency taxation. However, the report writes, "Given [the] uncertainty, available funding, and other priorities, IRS made a reasoned decision not to implement a compliance approach specific to virtual economies and currencies." New York's Department of Financial Services subpoenaed 22 Bitcoin businesses, in an attempt to gather information on Bitcoin business and see if the DFS should create new relations specifically tailored to the Bitcoin economy. In December 2011, German financial regulator BaFin wrote a report stating that they do not consider Bitcoin to be "electronic money", treating it as a "unit of value" and in some cases a "unit of account". As Stefan Greiner described it, "[BaFin's wording] states that the “creation” of bitcoins and their “use as medium of payment” do not need a permit (license). However, regulation applicable to banks and financial services could be applicable to Bitcoin transactions under two conditions: (1) the bitcoins themselves become an “object of trade” and (2) the “structure of the transaction” justifies doing so. If these two criteria are met, bitcoins become “units of account” and therefore “by implication” financial instruments." In June 2013, German FDP party member Frank Schäffler made a parliamentary inquiry asking the government for an opinion on Bitcoin's tax status. The response: if the time between when bitcoins are bought and sold is longer than one year, then the owner does not need to pay capital gains tax on any earnings from Bitcoin rising in price during that period. However, the reply did not touch upon the subject of sales tax. Another inquiry by Frank Schäffler brings further clarity to Bitcoin regulation in Germany: Bitcoin is now private money. As a result of this, the act of selling bitcoins is taxable, but only if the sale is part of a business transaction. The requirements for a Bitcoin sale to count as a business transaction "are extremely high"; the key criterion is that one must be trading bitcoins not just for oneself, but also for other people. Additionally, new requirements for Bitcoin trading businesses come into play; among the most onerous are the requirement to have 730,000 EUR in initial capital and "professionally qualified management"
The last rule is tough, and certainly Bitcoin businesses would find Great Britain's stance that Bitcoin exchanges will fall under no special regulation vastly preferable. However, even here, we see only three regulatory moves toward Bitcoin (or four if one counts the European Central Bank report from 2012) compared to the United States' ten. Furthermore, every single action that the government took was toward further clarifying Bitcoin's status and explaining what the rules are; there have been no one-off cease and desist letters or politicians inculcating a state of regulatory fear. Of course, Germany is much smaller than the United States, and its government less complex; in fact, many would argue that the appropriate comparison is not between the US and Germany, but between the US and the European Union - and in the EU, there have been even more than ten regulatory actions on Bitcoin so far. However, the European Union does not require businesses to get money transmitter licenses in all 27 member states - German businesses worry about German regulations, UK businesses worry about UK regulations, and the same for every other country. In the United States, every business must worry about every state's regulations, in addition to half a dozen redundant regulatory agencies on the federal level. What all of this says is that the quality of US regulatory agencies is poor, and that we can do better. Regulatory interaction in the US should not simply be limited to accepting existing laws and being in "compliance" with them, or even acting defensively to prevent further regulations in the years to come. Additionally, the United States can benefit greatly from a concerted political effort to attack the regulatory maze head on, and help improve the situation not just for Bitcoin, but for the digital payments industry as a whole. One model initiative in this regard is a Bitcoin primer for policymakers released by George Mason University, and another example is the Bitcoin Foundation's two excellent letters to California's Department of Financial Institutions and FinCEN. Yes, the US government is scary, and if the Bitcoin community plays its cards wrong much stricter regulations may be soon to come. However, the Bitcoin community must also not be excessively meek. A widely understood concept in political discourse is the Overton Window - the idea that there is always an "accepted" range of political discourse, and most people are naturally driven to compromise and find positions in the middle of the window. Thus, the role of extremists is to widen the window in one direction, so as to ultimately push the center. The Bitcoin community needs to be proactive, and start framing the discussion and setting the Overton window in favorable terms; the battle should be over the absurdity of requiring forty seven licenses to start a business, not over whether Bitcoin should be legal or not. By targeting this aspect of regulation, the Bitcoin community can get plenty of business interests on its side, as money transmitter law is not the only kind of law that operates in this way. Self-regulatory organizations like DATA are another excellent idea, also because they allow the Bitcoin Foundation a way to step out of the role of being a regulatory compliance group to representing all sides of the Bitcoin community - including those who would prefer not to deal with regulators at all. Now is the right time to take this stance. Edward Snowden's revelations have started to create a sea change in Americans' opinion on the importance of safety and surveillance versus freedom and privacy, making increased restrictionism considerably easier to fight against. The quicker Bitcoin can be accepted as just another part of the internet, and not something new and scary, the better; hopefully, in time the idea of requiring forty seven licenses and millions of dollars in surety bonds will appear to everyone as absurd as the idea of regulating torrent networks seems to us today.